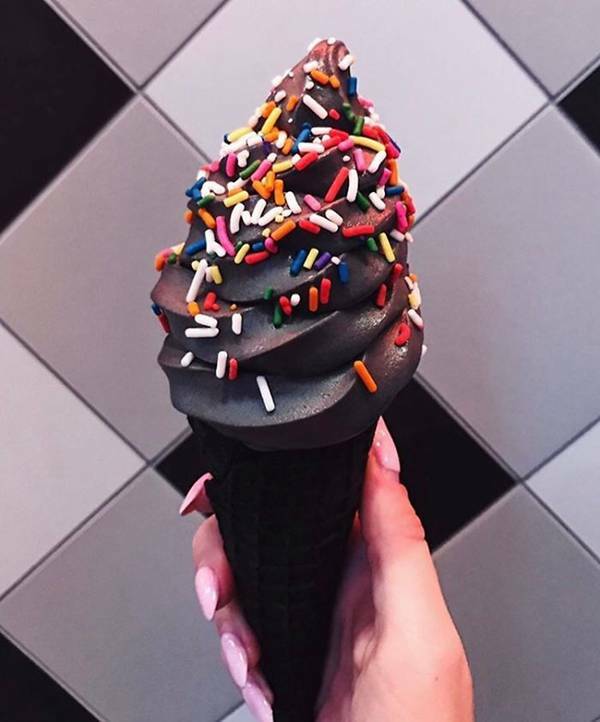 I can't understand why would anyone eat totally black Ice Cream? 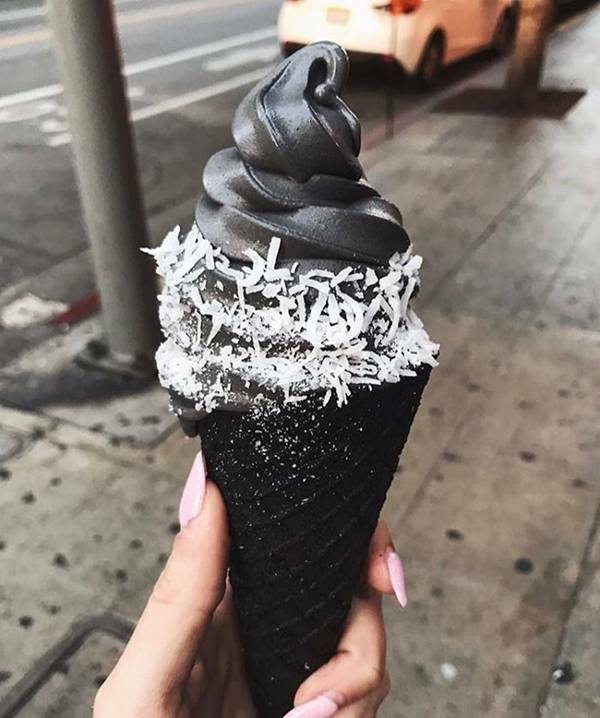 Could it be to feed his own black soul? 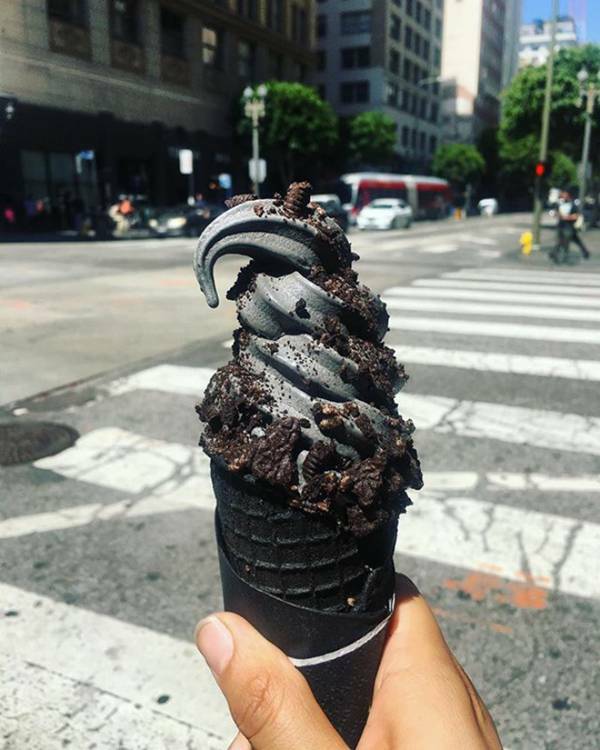 The "Little Damage Ice Cream" Shop in Los Angeles, California, served black ice cream. 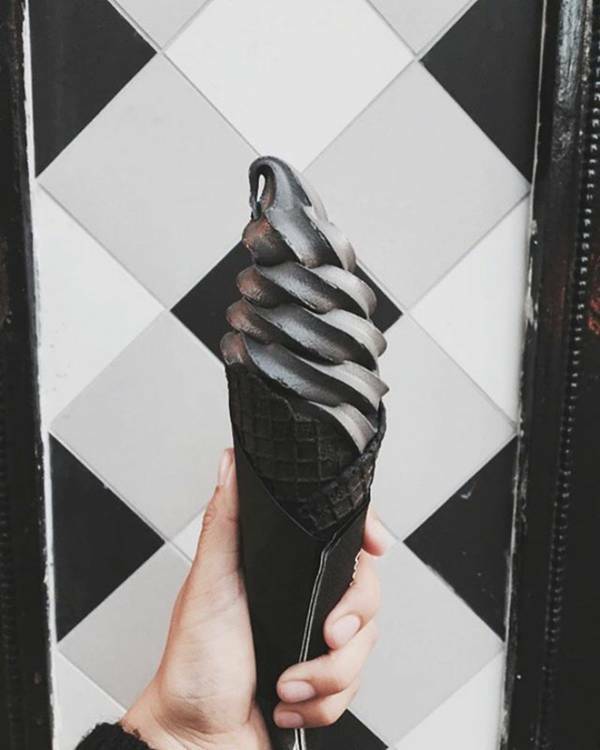 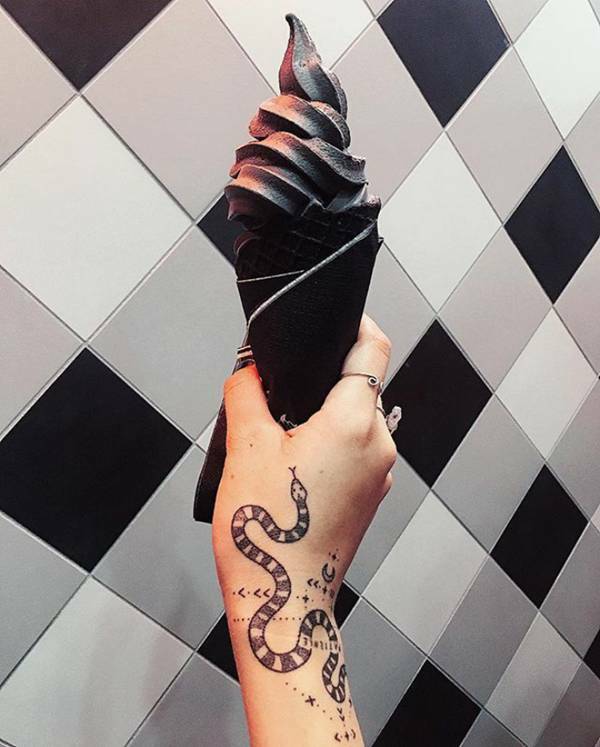 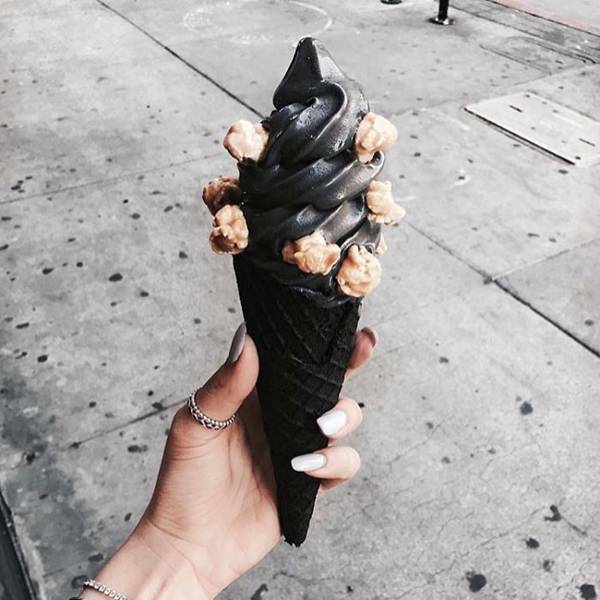 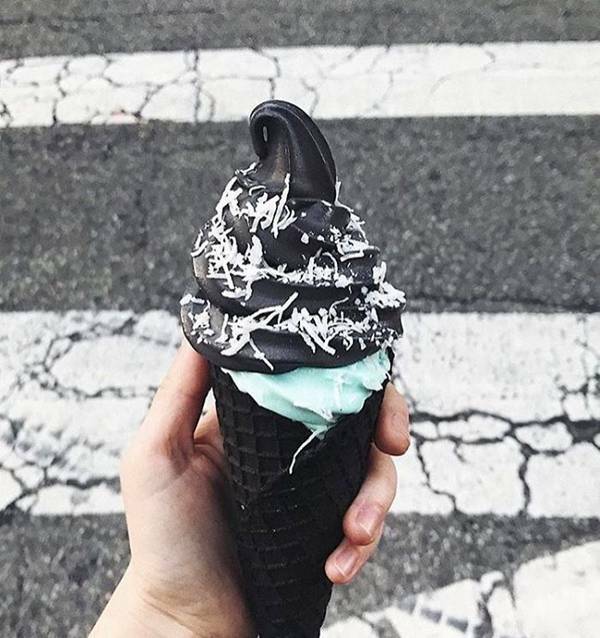 And according to the testimonies, these almond-charcoal flavored soft serve ice cream do not only look awesome, they're tasty as well! 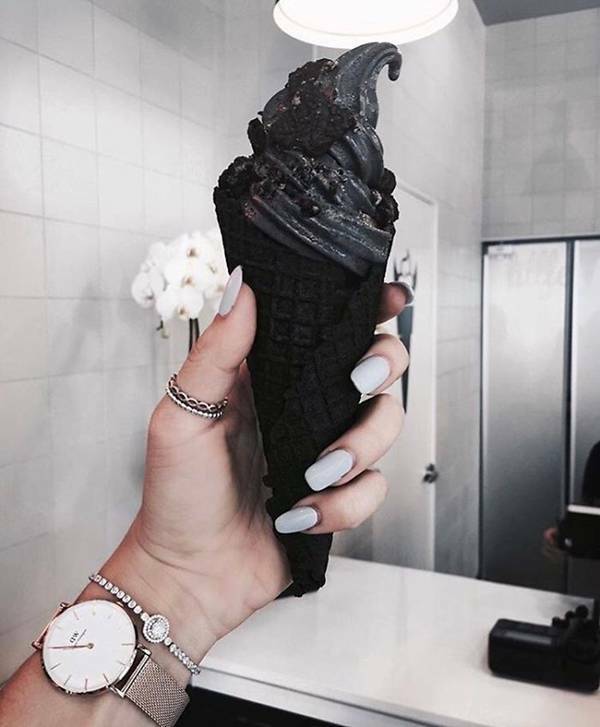 Are they?? 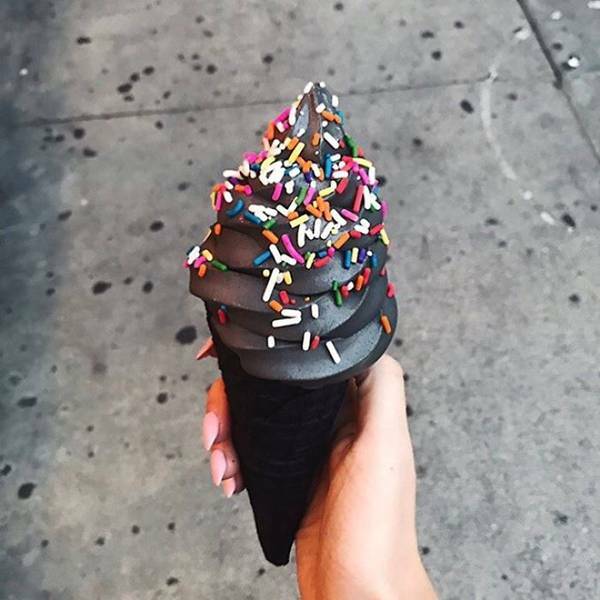 Black ice cream in black cone with various toppings. 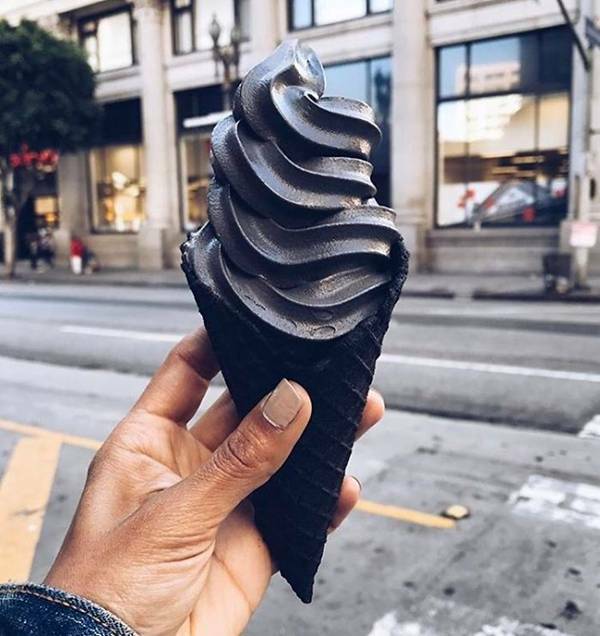 آيس كريم أسود في كوز أسود ومرشوش بأشكال مختلفة من الرشات.